Even this year Forigo’s team is not going to miss the opportunity to be a part of the fourteenth edition of Enovitis in Campo, an important fair dedicated to the ultimate technologies for viticulture. 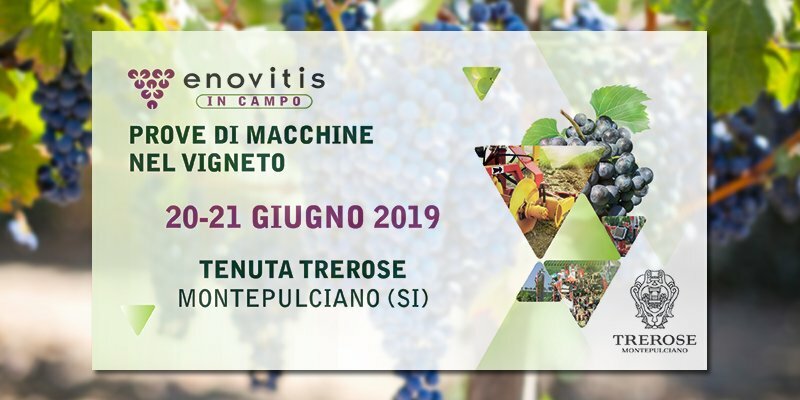 Enovitis 2019 will take place Thursday 20th and Friday 21th June in Tuscany, at the tenuta Trerose of Montepulciano (Siena). 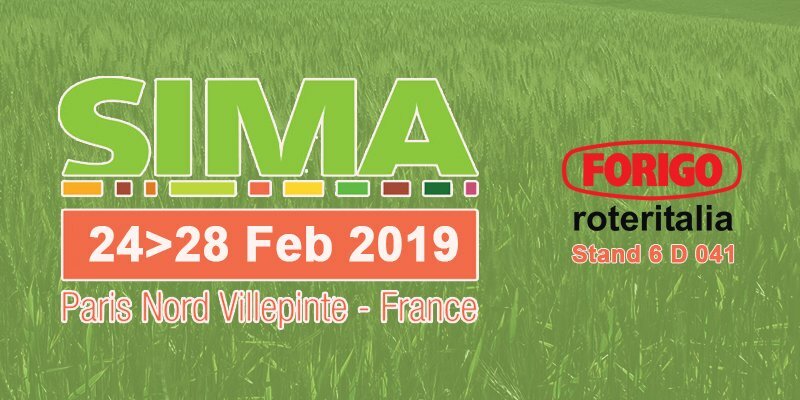 The Forigo Team returns with great enthusiasm to one of the unmissable events for those working in the agricultural sector: the 78th edition of the International Showroom for the suppliers in agriculture and farming. The Parisian fair will start Sunday 24th and will end Thursday 28th February. In the middle of these two dates many different initiatives will be held and innovativeness will find fertile soil to create new ideas. 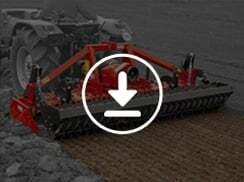 Discover all the novelties of SIMA 2019. 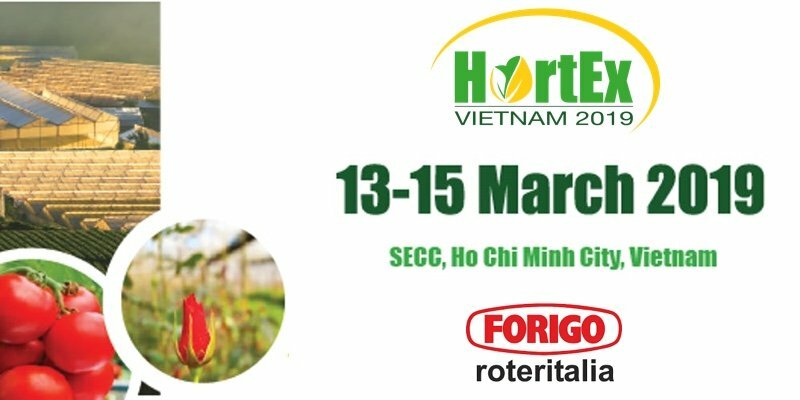 One of the key appointments of the Forigo team in these first months of 2019 will take place in Vietnam: from Wednesday 13th to Friday 15th March, Forigo Roter Italia will conquer Southeast Asia thanks to its participation in HortEx 2019 a trade show specialized in the production and processing techniques of plants and flowers. The second edition of this event already promises to replicate last year's success. Find out why HortEx is getting more and more consensus all over the world. 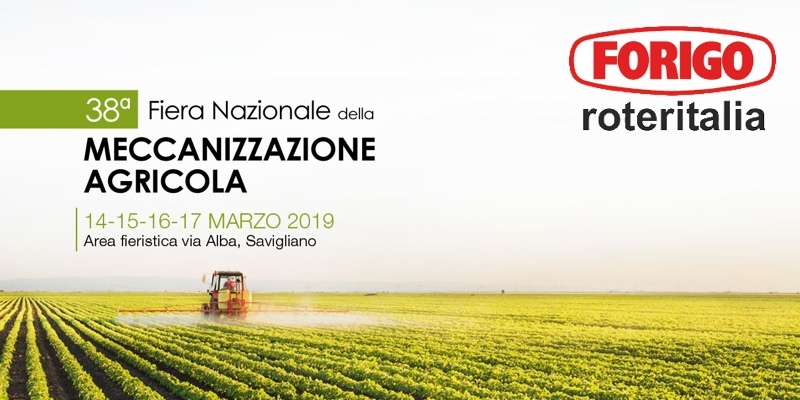 Forigo’s Team is looking forward to Spring as we will be taking part of the “2019 National Trade Show of the Agricultural Mechanization” (Fiera Nazionale della Meccanizzazione Agricola 2019), in Savigliano (Cuneo), from Thursday 14th through Sunday the 17th of March. The second and last appointment of May will see the Forigo Team involved in a Spanish trip–The occasion is the fourth edition of Demoagro Show. For the first time, the trade show will occur in Huesca in the region of Aragon and the event will last from the 21st to the 23rd of May. 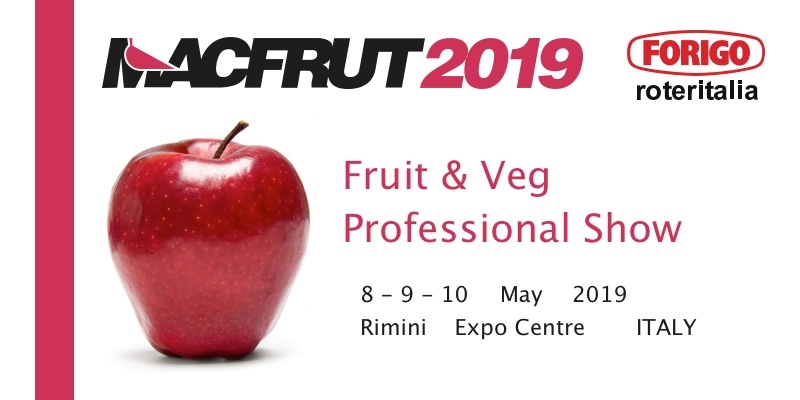 In the middle of Spring Forigo’s Team will come back in Rimini (ITA) to participate at Macfrut 2019 trade show–Fruit & Veg Professional Show–Each year the event recalls thousands of visitors from all over the world. 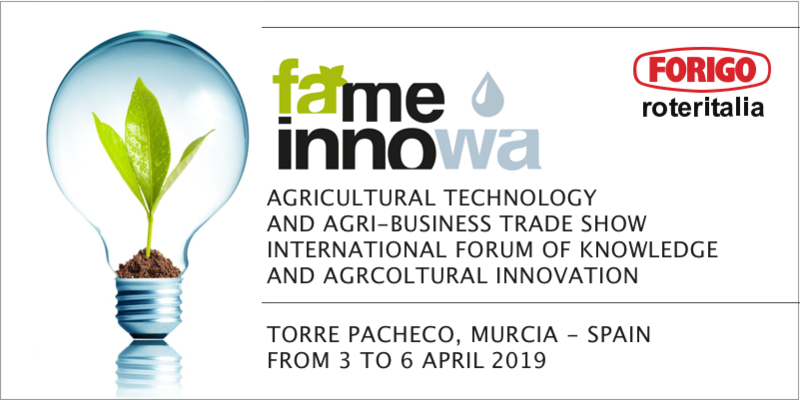 Forigo’s team will join the next Fame Innowa 2019 trade show right before Easter time in southern Spain. Our team will be in Torre-Pacheco from the 3rd to the 6th of April for the third edition of the Mediterranean fair for the agricultural innovation. Forigo’s Team will fly overseas from the 12th through the 14th of February for an unmissable meeting: the 52nd edition of the World Ag Expo in Tulare, California, one of the greatest international agricultural trade shows. 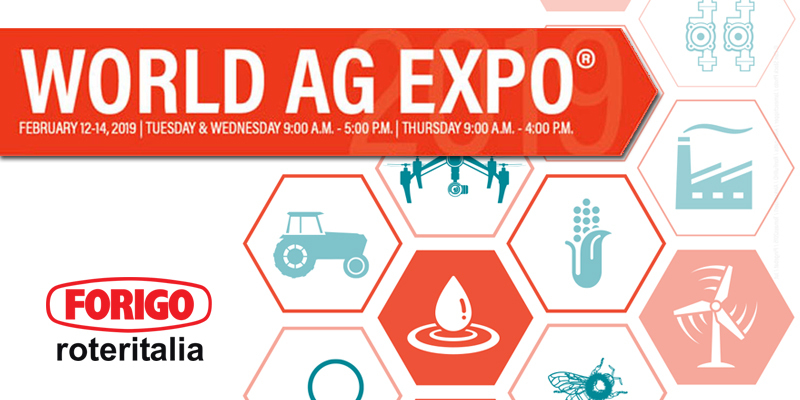 Discover now all the details of World Ag Expo 2019 and what our team will bring along on the American trip. 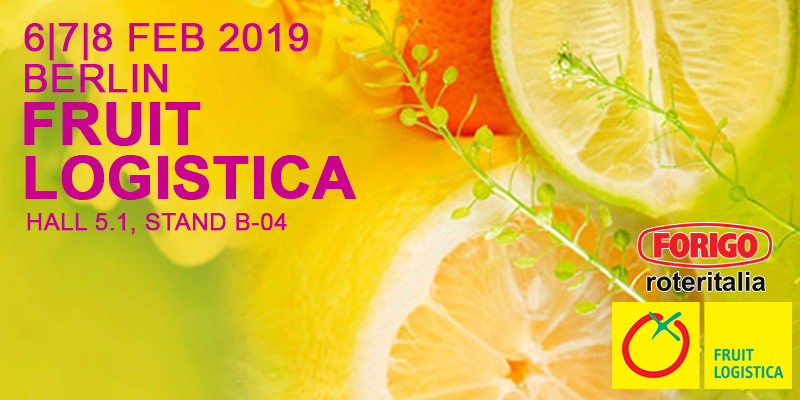 The Forigo Team couldn’t pass up one of the most anticipated winter events in the world of agriculture: from Wednesday 6th to Friday 8th February 2019 it will be present in Berlin to participate in Fruit Logistica 2019. Discover all the features and news that the 27th edition of this event will bring with it. The Italian tour of the Forigo Team goes on in a roll: the first spring meeting of the year, from the 29th to the 31st of March, will see the Umbrian region as the main character, green heart of our beautiful country. 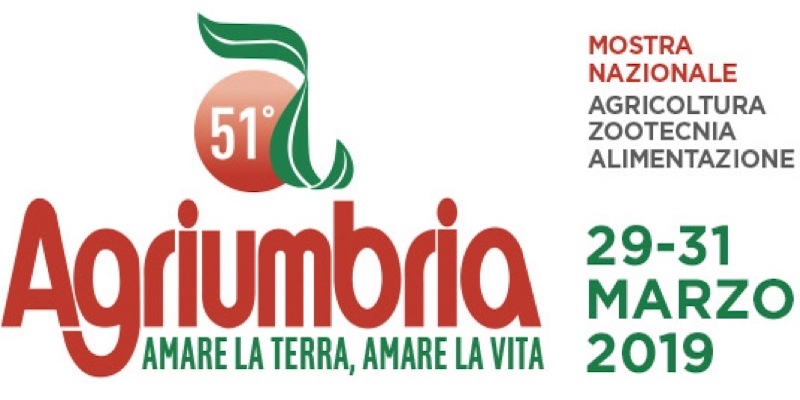 As for the last editions, even Agriumbria 2019 will be characterised by many initiatives and novelties. Discover now all the details about the event of Bastia Umbra, in the province of Perugia.